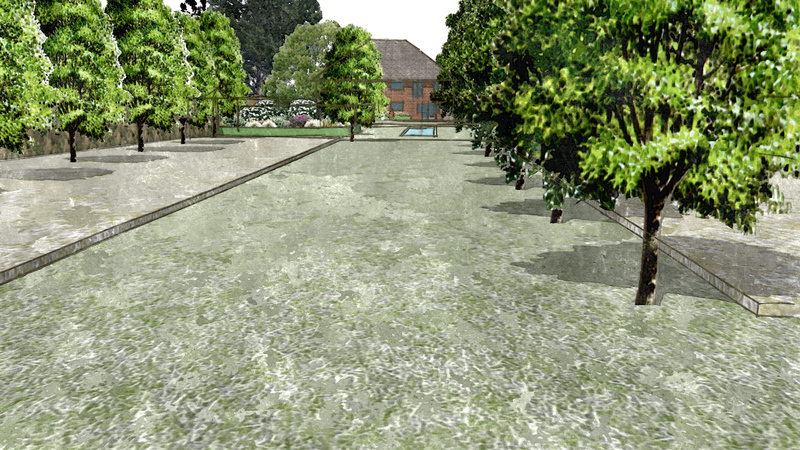 A Large rural garden of 5 acres overlooking the River Crouch estuary. 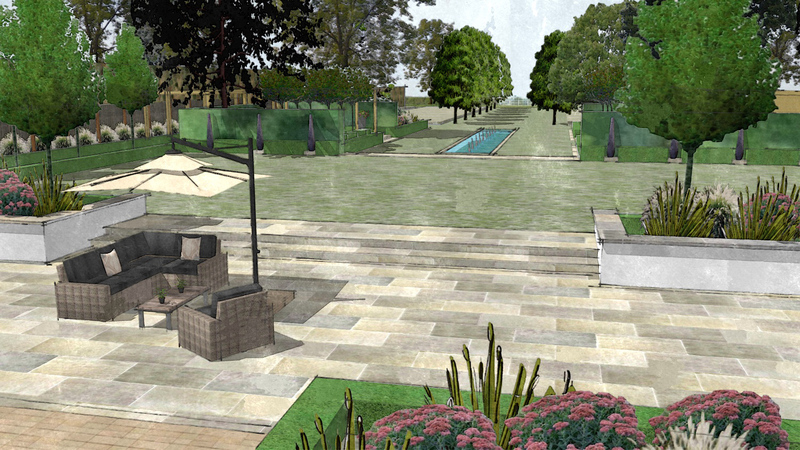 Views are channelled with strong perspective to focus on the view of the river. 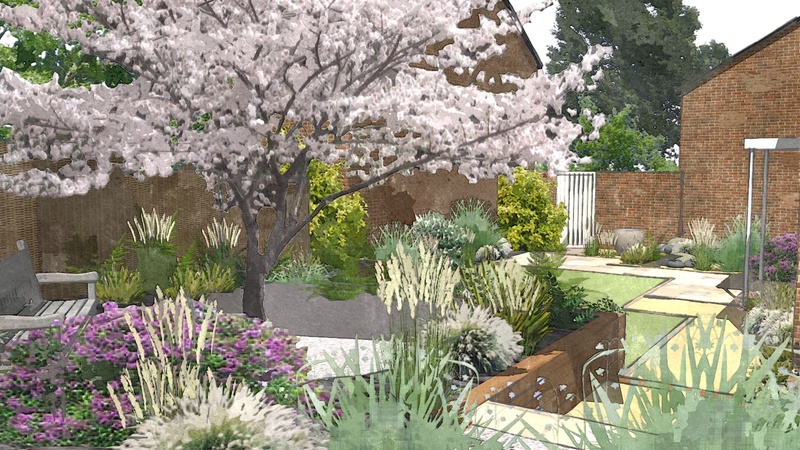 A 16th centuary town house in the centre of Welwyn Village. 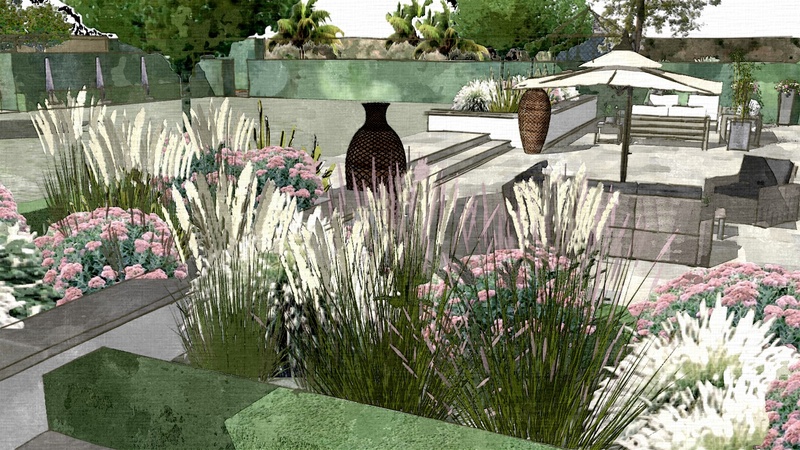 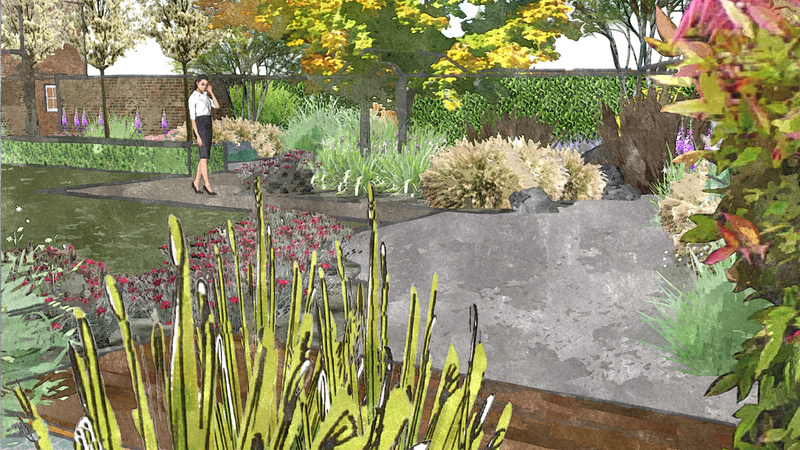 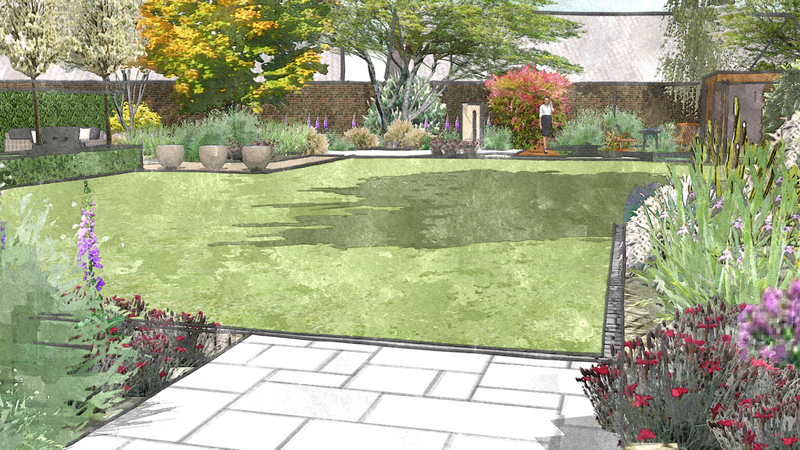 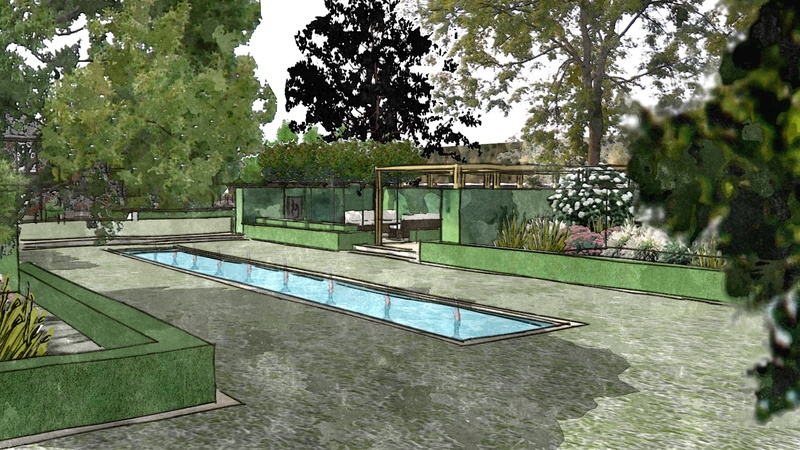 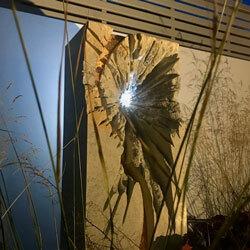 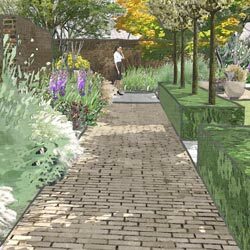 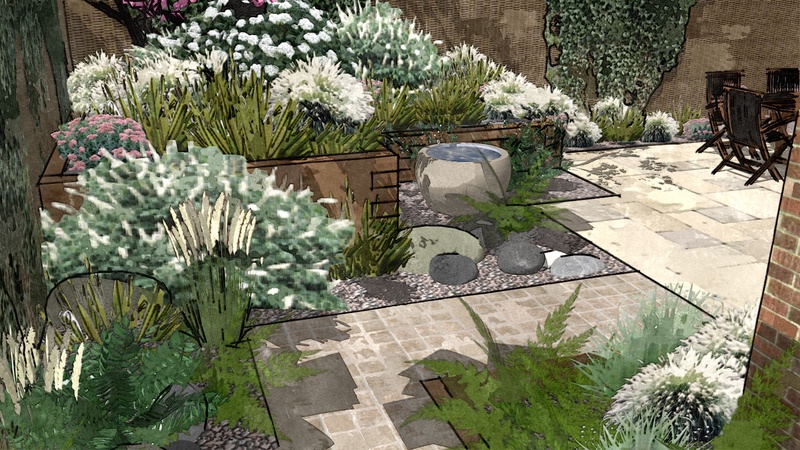 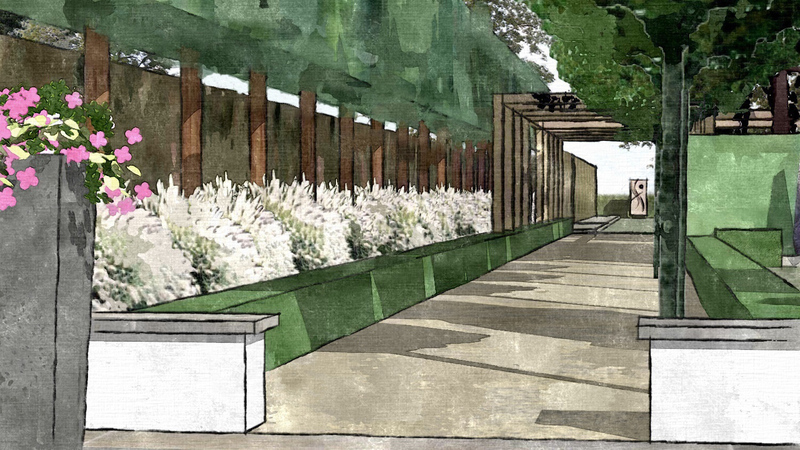 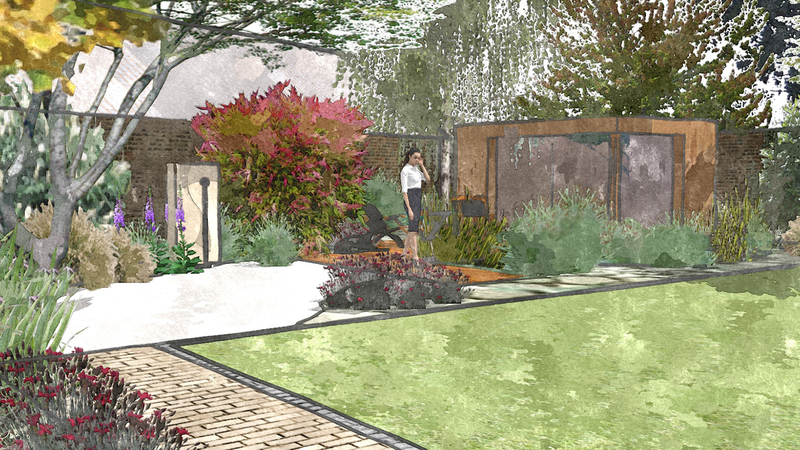 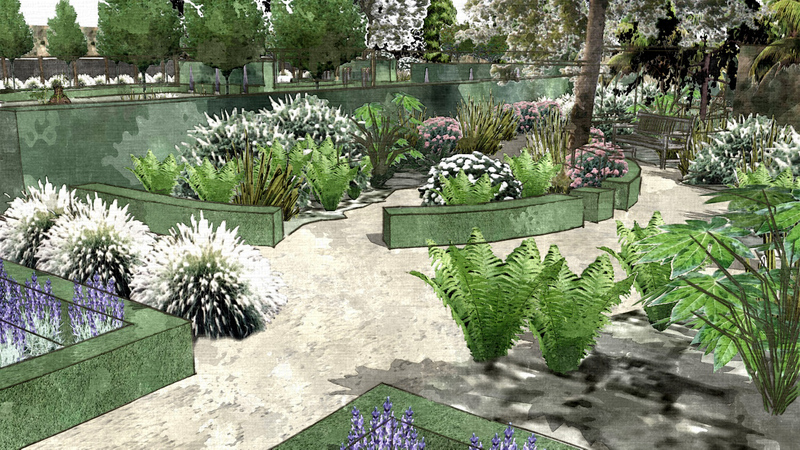 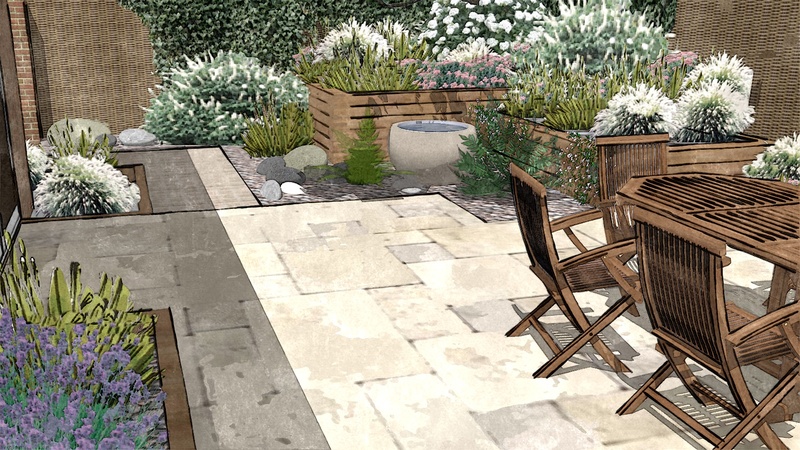 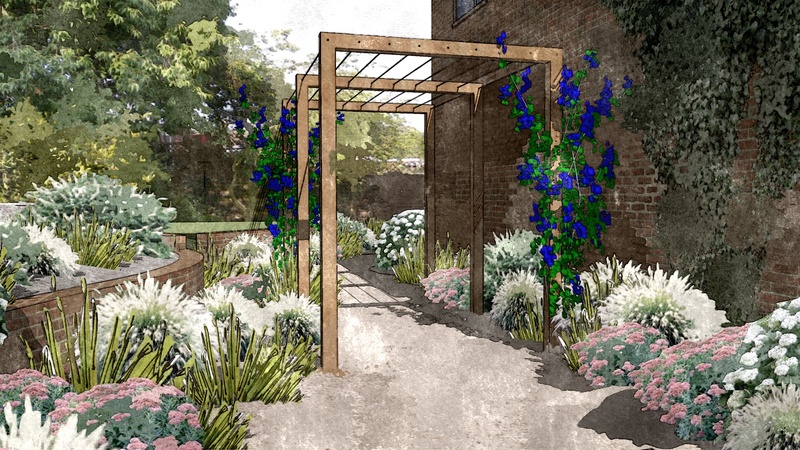 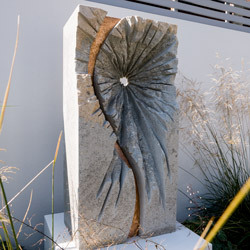 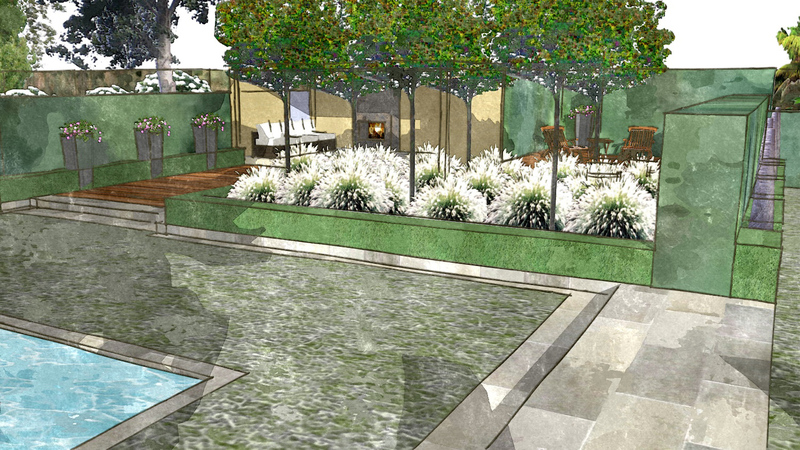 The design for the garden is strongly focused around entertaining with variose spaces or 'rooms' to create a range of different sensory experiences. 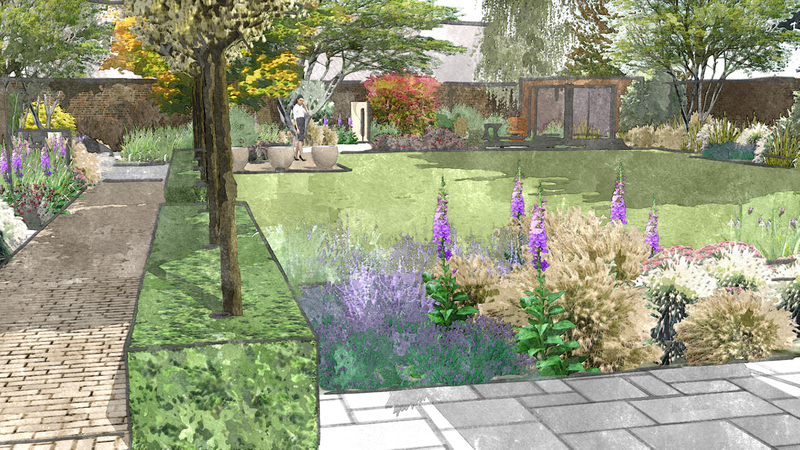 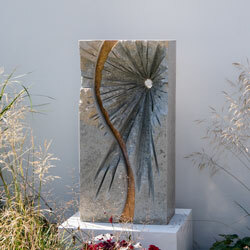 A small town garden located in the centre of Harlow. 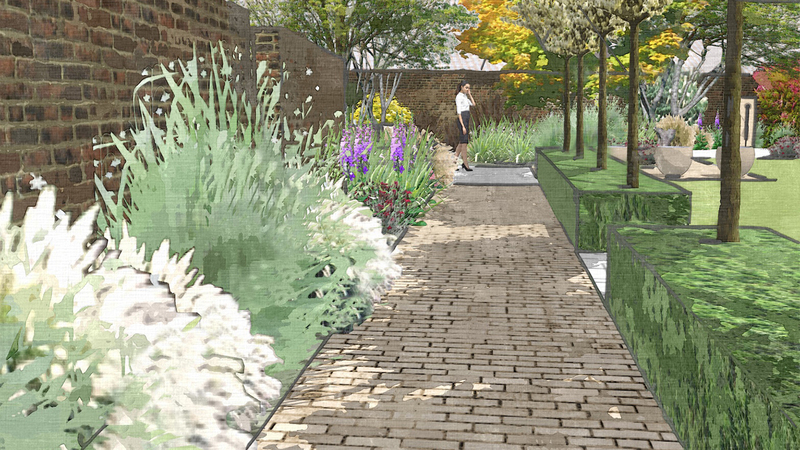 The site has a steep bank to the north end that makes the use of the changes in level to create interesting spatial partitions and different sensory spaces.